Compass have been invited to sing at a 'special' birthday party being held at The United Reform Church, Sidecliffe Road, Roker, Sunderland, SR6 9JP. A fabulous start to our New Year singing at a 60th birthday party booked over 12 months ago. Not only was it a birthday party but Joyce also got engaged and announced her retirement from teaching. Such a warm evening and the audience loved the 20 songs (including Out of the Blue and True North) delivered with such professionalism - the words of one of the audience. The party also raised £850 for Cancer Research and The British Heart Foundation. Fantastic performance by Compass Acapella and a fitting celebration for Joyce and Stephen. The concert was outstanding, the group thoroughly professional, but warm and engaging too. We left on a high. The choir have been invited to sing at a fundraising concert for a school in Lesoto. The concert will be in St. George's Church, Front Street, Boldon, Tyne and Wear, NE36 0SH, and will start at 7.30pm. Compass will be bringing along some special guests for the evening. On the coldest night of the year so far, the audience were treated to a performance to warm the hearts. Compass weaved their way through a fully entertaining repertoire and were supported by Enigma who excelled themselves. A lot of happy (but cold) people left the concert tonight and amazingly raised £570 for this wonderful charity to support young children in an orphanage in Lesoto in Africa. Compass Acapella will be making a return visit to All Saints Church, Cleadon Lane, Cleadon, Tyne and Wear, SR6 7UU. 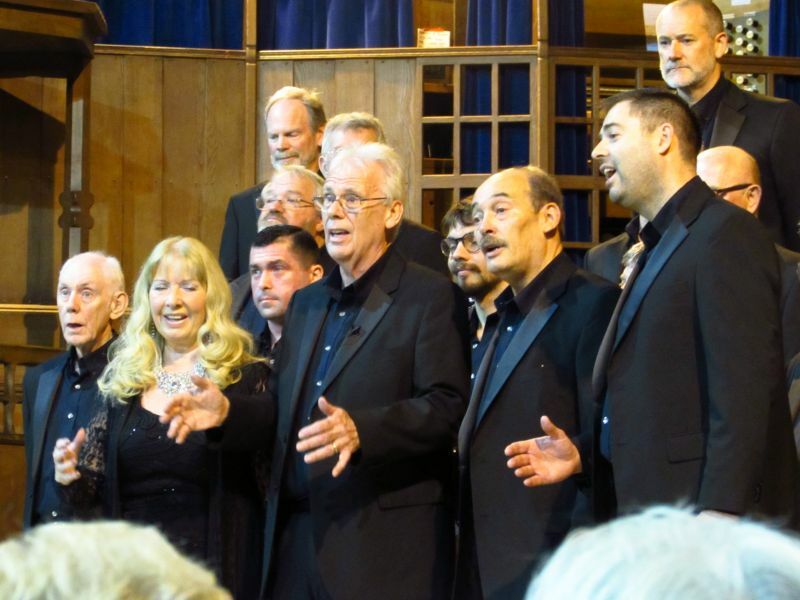 The concert to will commence at 7.30pm and guests for the evening will be Tyneside A Cappella. 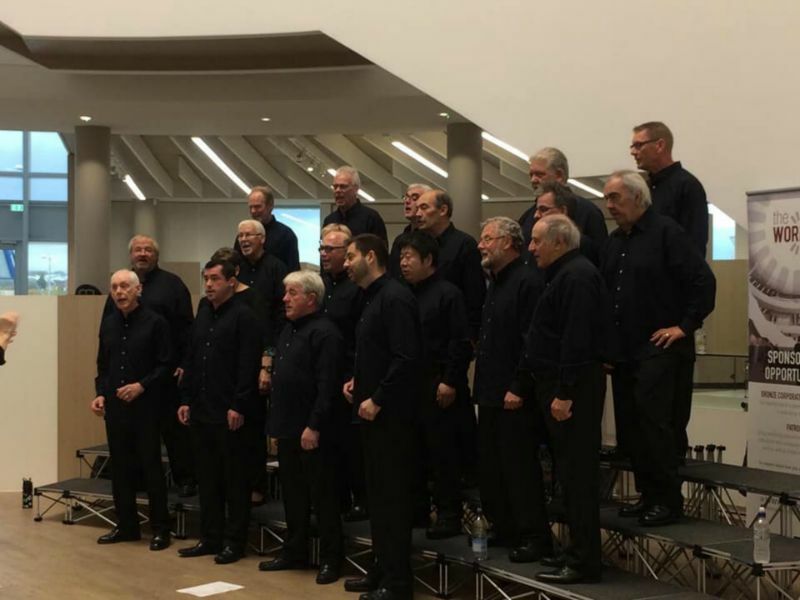 A fabulous evening with stunning performances by Compass, Tyneside A Cappella and Enigma. Singing at it's very best to a full house resulting in a standing ovation and valuable funds being raised for the church. 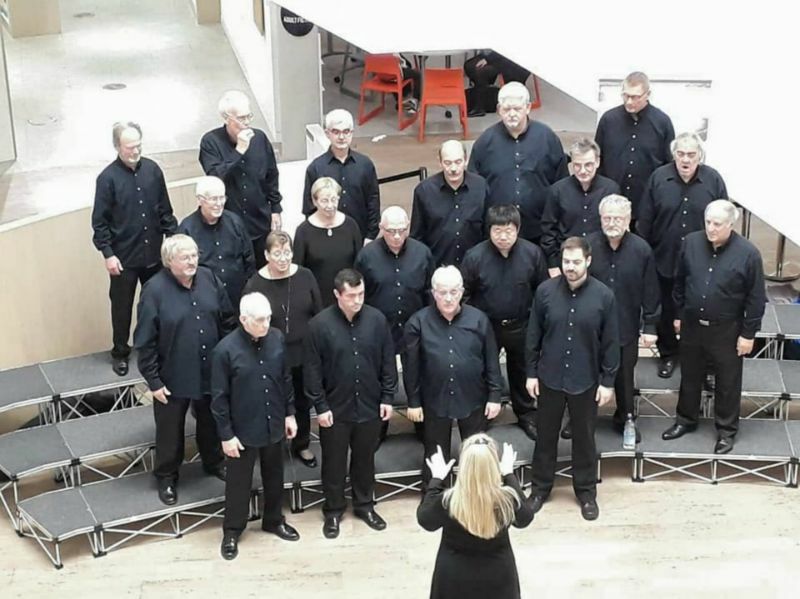 Compass Acapella and Tyneside A Cappella will be singing on Saturday the 19th of May in St. Cuthbert's Church, 4 Ellison Street, Hebburn, NE31 1BP in a concert to raise funds for the church. The concert will commence at 7.30pm. An absolutely stunning performance given by both choruses and Enigma to a packed church raising £525 for the church maintenance. St Michael's Church, 9 Mowbray Road, South Shields, NE33 3DH is the venue for a fundraising concert for the maintenance of this beautiful church. 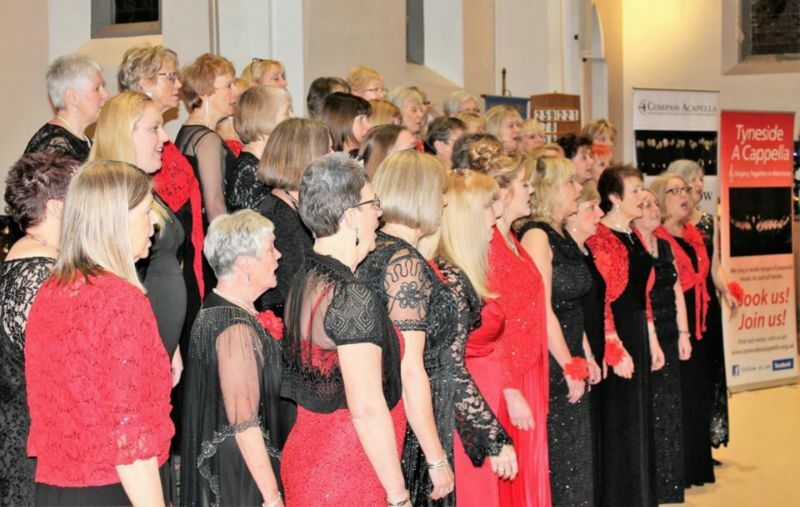 Compass Acapella will once again join forces with the ladies of Tyneside A Cappella to present an evening of popular songs. This not to be missed concert will start at 7.30pm. 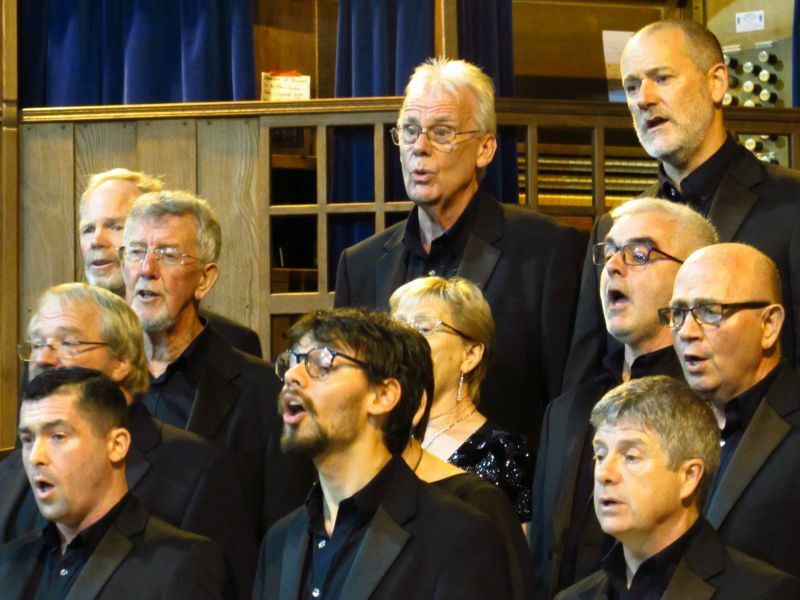 The Tyneside A Cappella/Compass road show arrives in Sunderland on Tuesday the 3rd of July to give a concert to raise money for church funds. The concert will be in the beautiful Sunderland Minster, 309 High Sreet West, Sunderland, SR1 3ET and will start at 7.30pm. 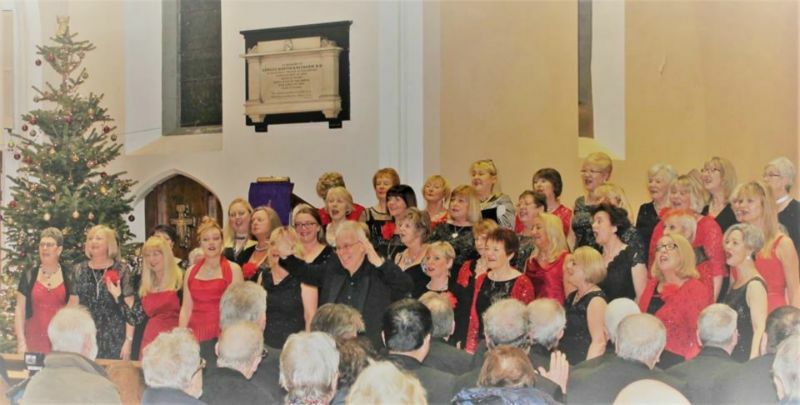 On the hottest night of the year the road show supported by Enigma performed in concert to raise funds for the improvements to .............the heating system at The Minster!. There was almost a full house who enjoyed the fabulous perfomance given by the ensemble despite the noise from the Fanzone less that 100 yards away who were enjoying the England World Cup game. A great result for all and £616 raised for the heating improvements. A very big thank you to both choirs for the wonderful evening of entertainment they provided at Sunderland Minster last night. without exception everyone I spoke to, thought they were wonderful! The evening raised £616 for our funds and we are extremely grateful for the generosity of all the members in giving of their time and talents to support us. Kindest regards. Gillian, Sandra and all at Sunderland Minster. 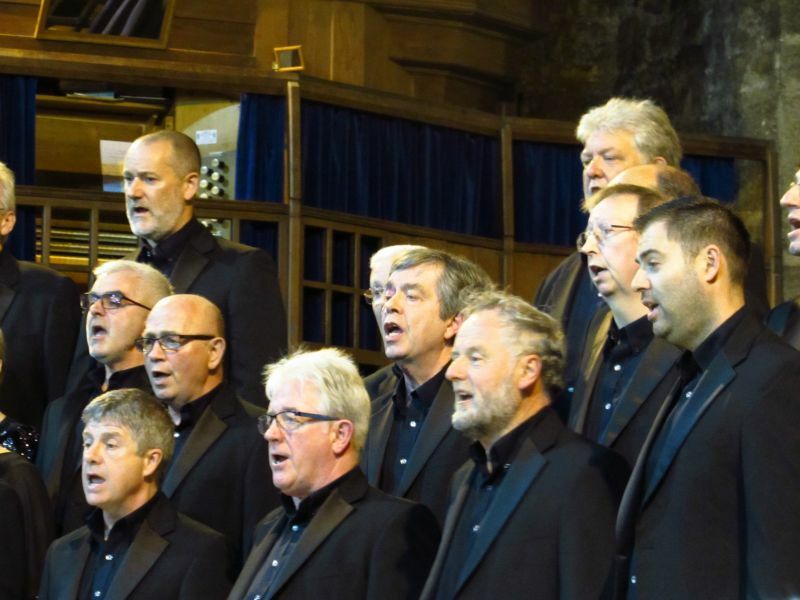 Compass Acapella will join forces with Tyneside A Cappella at Beamish Museum on Sunday the 8th of July 2018. The lunchtime concert will commence at 1.30pm in the Masonic Hall in the town centre. 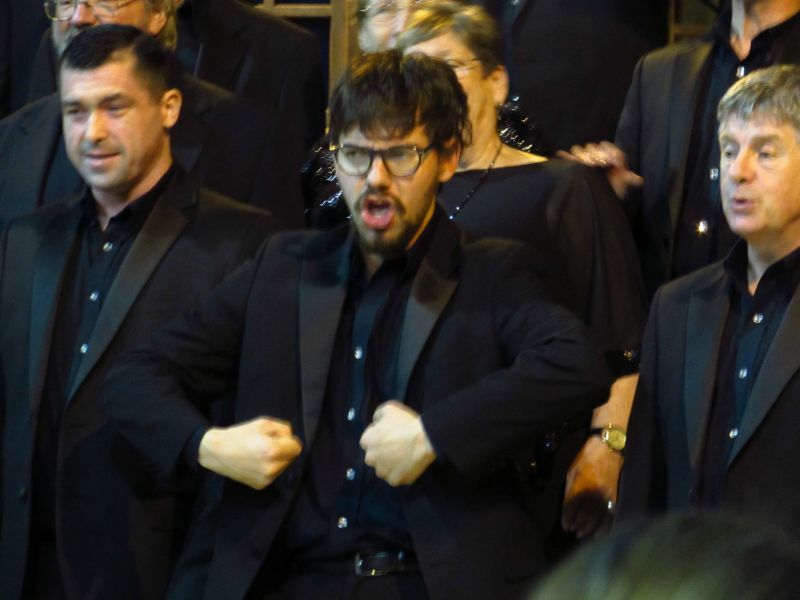 It was hot on the outside and even hotter on the inside as a27 song package was delivered by both choirs. Stunning performances by both choirs. Fantastic performance by the chorus to a packed church raising funds to provide a new heating boiler. Tyneside A Cappella were fabulous in support along with Enigma, True North and South Side. All that talent in one place - wow!. without a fee and this has enabled us to raise £682 for church funds. and resonating with beautiful voices! Compass Acapella will be performing in concert on Saturday the 13th of October in Saint Andrew's Church Talbot Rd, Sunderland SR6 9PT. 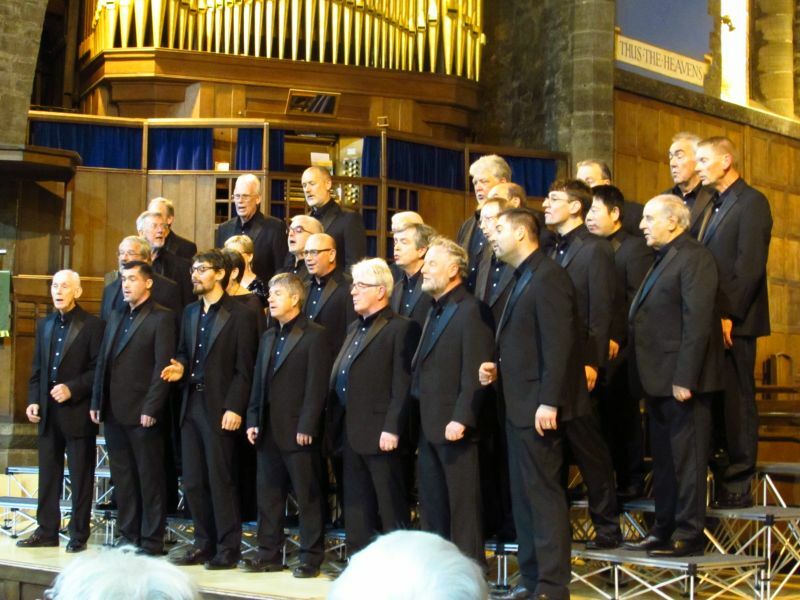 The concert will commence at 7.30pm and special guests for the evening will be Tyneside A Cappella. The concert is to raise funds for repairs to the Lych Gate at the entrance to the church. An absulutely stunning performance by the choir in this most beautiful of churches. 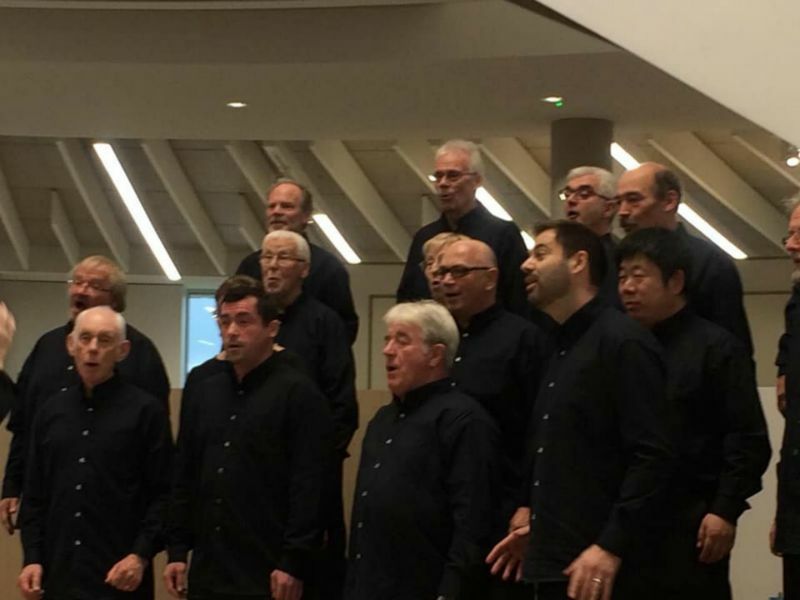 Compass saved their best performance ever for such an appreciative audience who enjoyed the programme, with support from Tyneside A Cappella, Enigma, True North and South Side. The concert raised £485 for repairs to the Lych Gate. Special evenings like this don't come along very often. I would just like to reiterate my thanks to you all. We had a really enjoyable evening and after all monies were sorted raised £495 - a little more than we said last night. Please do let everyone know how much we appreciated them, we could literally see the joy on their faces and they passed this on through the wonderful singing. I have given your web details to Connie Bulmer who writes a weekly community page for the Sunderland Echo. The choir has been invited to sing at St.Alban's Church, Windy Nook Road, Gateshead, NE10 9SL on Tuesday the 16th of October. The concert is to raise funds for the church and will commence at 7.30pm. Special guests for the evening will be the ladies close harmony octet Enigma. It was 'standing room only' as Compass thrilled the audience with a fabulour selection of songs, Enigma sang two fantastic sets as did True North and South Side. The ensemble received a standing ovation at the end of the concert which raised £310 for the church. Compass will be giving an afternoon concert at The Word, 45 Market Place,South Shields, NE33 1JF. The concert at The National Centre for the Written Word will commence at 2pm. Our mini chorus gave a stunning performance to the audience today. Compass have never sung in a library before and the library has never heard such singing in the time it's been opened - a comment from the organiser. The performing area was packed and more seating had to be brought in. Compass Acapella will be making a return visit to All Saints Church, Cleadon Lane, Cleadon, Tyne and Wear, SR6 7UU. The pre Christmas concert will commence at 7.30pm and guests for the evening will be Enigma. The audience (full house) were treated to a wonderful festive concert as Compass made their annual visit to the Christmas Tree event. Compass professionally weaved their way through the concert with fantastic support from True North and South Side. Special guests Enigma turned in a superb performance adding that little bit of Christmas sparkle to the concert. The joint singing of White Christmas for the finale ensured that the audience went home singing and with smiles on their faces. 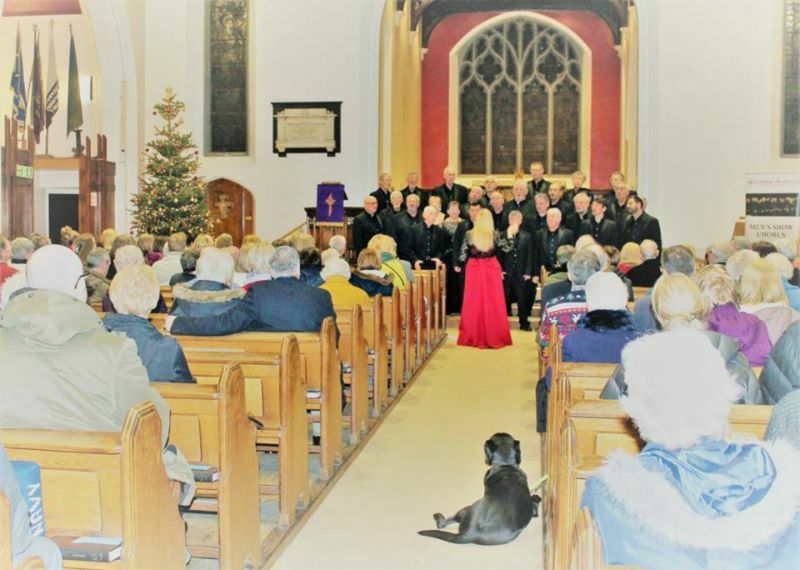 The chorus will be guests of Tyneside A Cappella who are presenting a Christmas concert to raise funds for Guide Dogs for the Blind. The concert on Saturday the 15th of December will be held at The Church of the Holy Saviour, Crossway, Tynemouth, NE30 2LB, Tyne and Wear.The concert will start at 7.30pm. The curtain has come down on our Christmas concerts tonight with a stunning performance by the chorus supporting Tyneside A Cappella. The amazing total of £1,153.80 raised tonight for the Guide Dogs for the Blind Charity. Fabulous singing by the chorus, Tyneside A Cappella and Enigma.